Hydraulic cilinders C63-3405115-A, C63-3405115-A-01, C63-3405115-A-02, C63-3405115-A-03. Used in steering of MTZ tractors. 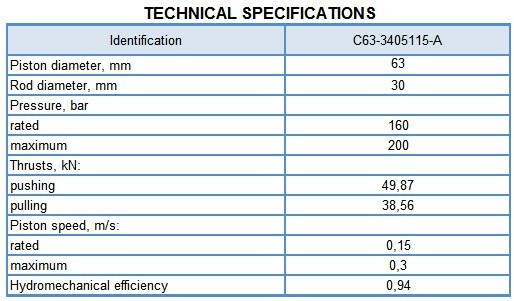 Hydraulic cilinders C63-3405115-A, C63-3405115-A-01, C63-3405115-A-02, C63-3405115-A-03.